The Bundelkhand region of Uttar Pradesh lies between the Yamuna River and the northern part of the Vindhyan ranges. It is spread over an area of 29,000 square kilometers and is home to 7.8 million people. It receives water from perennial rivers including the Yamuna, Ken, Betwa, Sindh, and Pahuj rivers. Over 75 percent of the population depends on agriculture for their primary livelihood, with 96 percent of the income generated from agriculture and livestock collectively. The region, which was once known as the pulse bowl of India, is now facing the fourth successive drought in the last five years. The negative effects of these droughts weigh heavily on the backs of people living in this marginalized and economically disadvantaged region. Although billions of dollars have been pumped into Bundelkhand over the last decade, the water situation there has shown little to no improvement. Indeed, the average annual rainfall in Bundelkhand has plummeted by 40 percent over the last thirteen years, with 60 percent decline in rainfall happening in the last five years alone. The resulting acute water shortage has triggered mass migration; without water, many families in this predominantly agricultural region can no longer grow enough crops to sustain their livelihoods. The situation seems grim, but fortunately history have a few lessons to teach about water resources management in Bundelkhand. During the 10th-17th century, the Chandelas and Bundelas—the two major dynasties in Bundelkhand—took keen interest in conserving water as a means of supporting livelihood and developing the region. 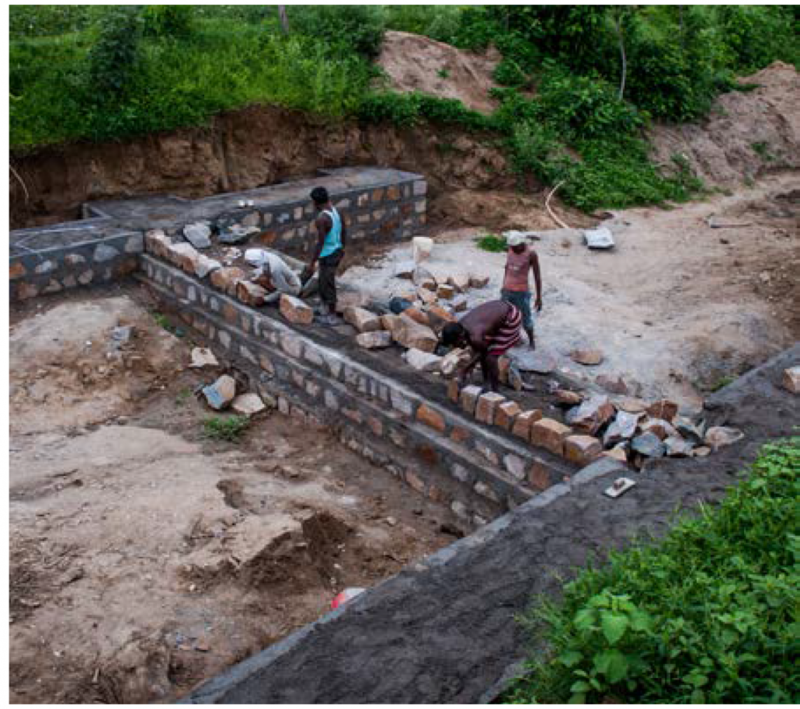 Since the terrain in Bundelkhand is rocky, which prohibits percolation and natural groundwater recharge, the Chandelas and Bundelas built networks of reservoirs that enabled quick recharge of shallow aquifers and ensured minimal run-off of rainwater. This network of reservoirs helped increase groundwater levels in the surrounding region and made it possible to build wells that serviced the needs of people in the region. Unfortunately, over time, urbanization, growing settlement, and poor management destroyed many of these reservoirs. The remaining ones fell into disrepair and were rendered useless. To help the region better manage its water resources—particularly in the Bundelkhand region—the Government of Uttar Pradesh approached 2030 WRG for help. Using an integrated and participatory approach, 2030 WRG facilitated a formal state-level multi-stakeholder partnership (MSP) to develop initiatives targeted at improving watersheds and reservoirs, increasing on-farm efficiency through improved agriculture and irrigation practices, and developing market linkages to increase agricultural production. Recently, at the request of the state administration, 2030WRG commissioned a comprehensive mapping of water reservoirs in the Jhansi District of Bundelkhand. The study uncovered an encouraging fact—with proper restoration, the storage capacity of reservoirs in the region can be increased by five folds. Based on the mapping analysis, 2030 WRG is now developing a project to integrate resources and initiatives from government, private sector, philanthropic foundations, and civil society. This project aims to rejuvenate water reservoirs in Bundelkhand, starting with the Jhansi District. The plan is to scale up this initiative to include all seven districts in Bundelkhand. When completed, these reservoirs would enable storage of surface water for dry seasons and recharge aquifers and nearby drinking water sources. With the support of it stakeholders, the MSP is now one step closer to addressing Bundelkhand’s water challenge.